Groomed the Gerbil Loop this morning. 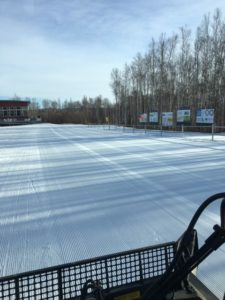 Sadly, this will conclude grooming for the 2018/19 season! The groomers thank everyone who supported the Trail Fund this season. We hope you have great summer adventures, and we will see you in the fall. It will be interesting to see what Mother Nature throws at us next season.